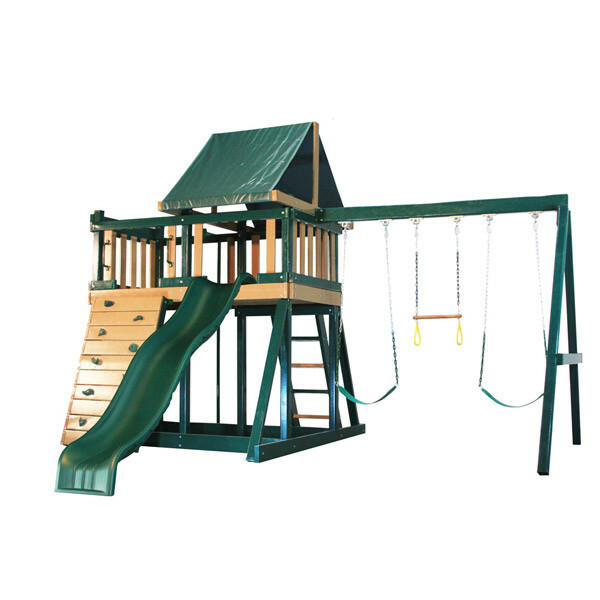 A unique playset the Congo Monkey Playsystem I is loaded with features and quality materials. It has all of the fun that kids want in a swing set including 2 swings and a trapeze bar. 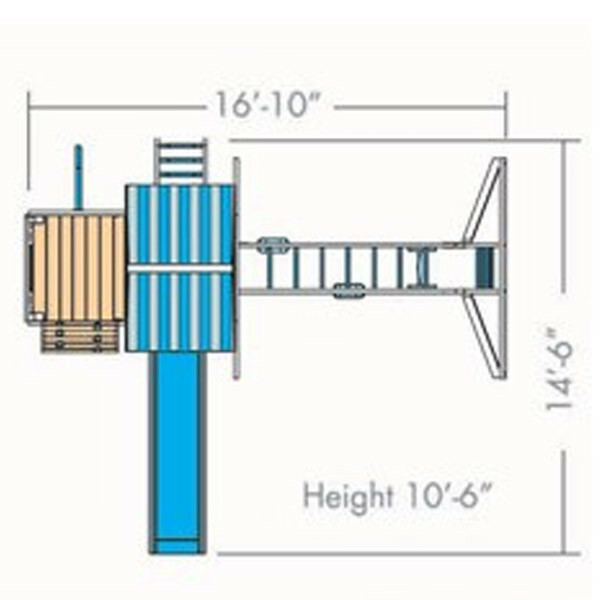 They'll love climbing up the sturdy rock climbing wall to the covered 4' by 7'6" fort and then coming down on the wave slide or the super-fast fireman's pole. 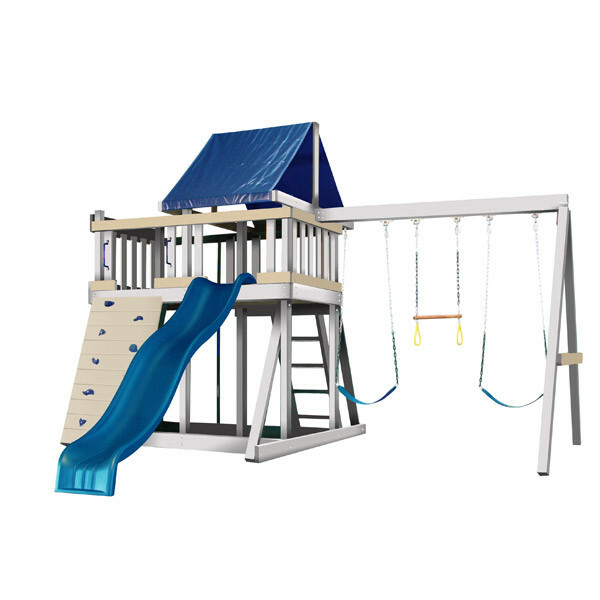 Every part of this playset including the sandbox is fun, safe, and will provide hours of entertainment. 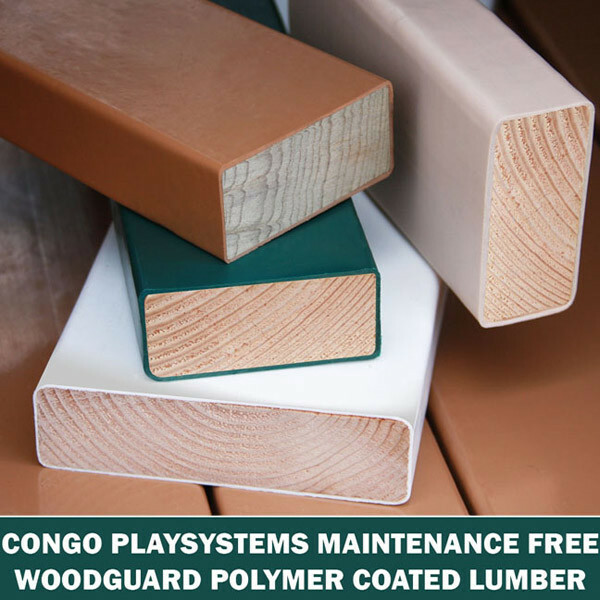 Unlike most other ready to assemble wooden playsets, the Congo Monkey Playsystem I is constructed of Woodguard Polymer Coated lumber. 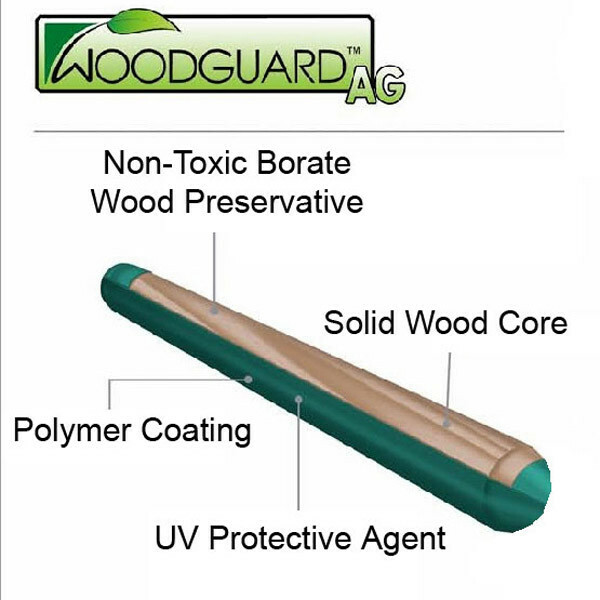 This lumber is heavy duty and covered with an eco-friendly coating that is made from recycled plastic. 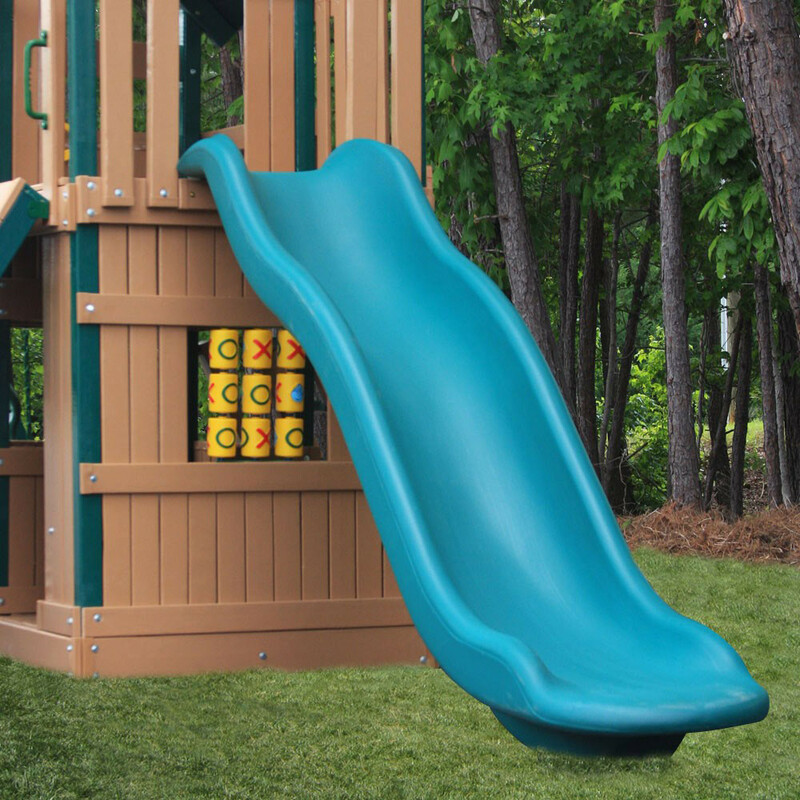 The polymer coating makes the wood in this swing set virtually maintenance free. You'll also find that it is easy to clean, does not splinter, and will not chip or crack. Even the vicious UV rays won't damage or fade the wood. This set is available in either white & sand or green & cedar.